Here you have a restaurant on a busy street corner, with lots of parking and surrounded by businesses, residences and a university just down the street. 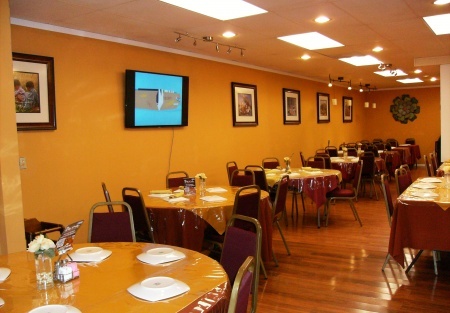 This is a very unique location as it is made up of 3 unit spaces (totaling 3340 sq ft) of a building and you could choose to turn a section back to landlord to reduce the size to 2300 sq ft if that size makes more since to you or develop the business and maximize the use of the whole restaurant as it is now. Owner is operating a Pakistani/Indian restaurant in the location at present and would be happy to lend a hand to a buyer looking to build on what they have already begun OR you can convert this to any concept you choose. Add a beer and wine or even a full liquor license and with the space thats here you can have a nice restaurant or turn it into a sports bar with live music and attract the college valley crowd.So many options that this is a must see for anyone looking to find a location with all this to offer. Owner is selling due to family illnesses that have made it impossible for him to be at the restaurant during the day and with no one else there to oversee the operations or grow the business. He has invested $1000's and is just looking to recoup some of his investment so His Lose is Your Gain!! But he Needs to be with sick family members at this time. To get pictures, name and address just go to the sign NDA button below and complete the online agreement, then go by and check out this place and see if it is not what you have been hoping for.